Foshan Bifrost Promotions Technology Co., Ltd.
Shenzhen Shihai Technology Co., Ltd.
Yiwu Hot Ecommerce Co., Ltd.
Danyang Huasu Optical Co., Ltd.
Ningbo EF Plastic Co., Ltd. Victory International Trade Co., Ltd.
Cangnan Jiya Craft Gifts Co., Ltd.
2)Made by Plastic PP so that it is not easy to break. 3)There are so many colors that you can choose what you like. 5. Our prodcuts are tested by authorities ,and we promise the quality. Wenzhou Chongkun Printing Co., Ltd.
4. Perfect promotional item for children product: games,toys.etc. 5. 100% manufacturer, so we can offer you more competitive price. 6.We can make product complied with your design and specifications. OEM Sample delivery 10-12 business days after receipt of artworks & sample charges. Production Small quantity -- 15business days after sample approval & receipt of deposit. Packing Box packing and bulk pack into one carton or as customer's request. 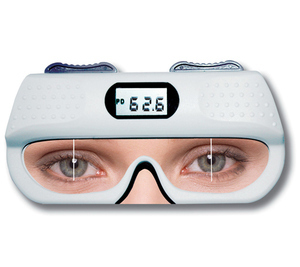 PD ruler, eyewear accessory: measuring eye pupil distance in glasses shops. we mainly sell to Europe markets with good quality. please contact us and you will find the most favorable products from us. THANK YOU! Yancheng Loudly Optical Co., Ltd.
Shanghai Vowish Optical Co., Ltd.
Shanghai Zhiwan Instruments Co., Ltd.
Qidong Lanzuan Diamond Products Co., Ltd.
1. The function of digital PD ruler is close to the PD that we need when we wear the glasses . 2. HE-710 digital PD ruler also can measure the PD of the left & right separately besides combining them. 3.Use conveniently ,when set in level, it will turn off automatically . Shanghai Link Instruments Co., Ltd. 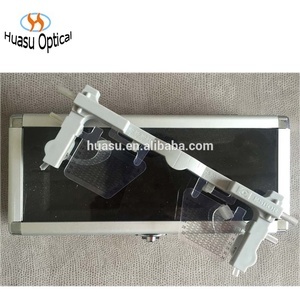 Features: It is a digital precision optical instrument used to measure distanceIt employs precise optical structure, the line of light is very clear and precise. Separated measurement for left or right eye is available. Specification: 1. Electric Voltage: 23A 12V battery; 2. Power: 5W; 3. Weight: 0.2kg; 4. Volume: 21.5(L)x12.2(w)x44(H)cm. Gao Din Medical (Shanghai) Co., Ltd.
GDP-06 Specification s : Binocular pupillary distance: 44-83mm Left or right pupillary distance: 22-41.5mm Indication error: &le; 0.5mm Rounding error: &le; 0.5mm Distance of target:30cm~&infin; Electric Voltage: DC 6V (2pcs 5# AA battery) Power: 10W optical pd ruler Model No. GPD-02 Specifications: Binocular pupillary distance: 45-80mm Left or right pupillary distance: 22.5-40mm Indication error: &le; 0.5mm Rounding error: &le; 0.5mm Distance of target: 30cm ~ &infin; Electric Voltage: DC 4.5V (3pcs 5# AA battery) Power: 10W optical pd ruler Model No. GPD-08 Specifications: Binocular pupillary distance: 45-82mm Left or right pupillary distance: 22.5-40mm Indication error: &le; 0.5 mm Rounding error: &le; 0.5 mm Distance of target: 30 cm~&infin; Electric Voltage: DC 3V (2 pcs 5# AA battery) Power: 10W GD Medical information: . 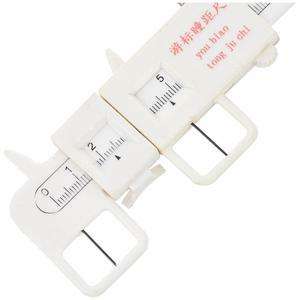 Alibaba.com offers 248 pd ruler products. About 67% of these are other optics instruments, 17% are medical optical instruments, and 14% are rulers. A wide variety of pd ruler options are available to you, such as yes, no. You can also choose from paid samples. There are 255 pd ruler suppliers, mainly located in Asia. The top supplying countries are China (Mainland), Taiwan, and Pakistan, which supply 97%, 1%, and 1% of pd ruler respectively. 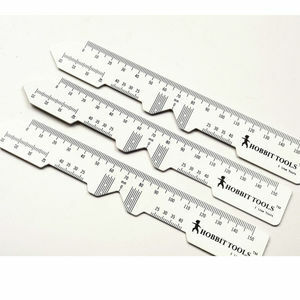 Pd ruler products are most popular in Western Europe, Mid East, and North America. You can ensure product safety by selecting from certified suppliers, including 53 with ISO13485, 50 with Other, and 25 with ISO9001 certification.